First Act is putting on an improv show (think 'Whose Line is it Anyway?') 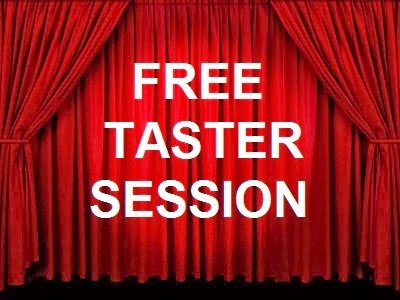 on January 18th at the Crescent Theatre. 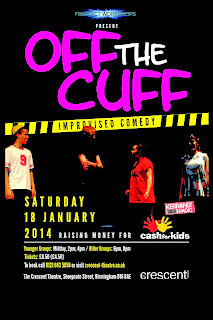 It's called 'OFF THE CUFF' and is sure to be hilarious (it was the last two times we did it!). 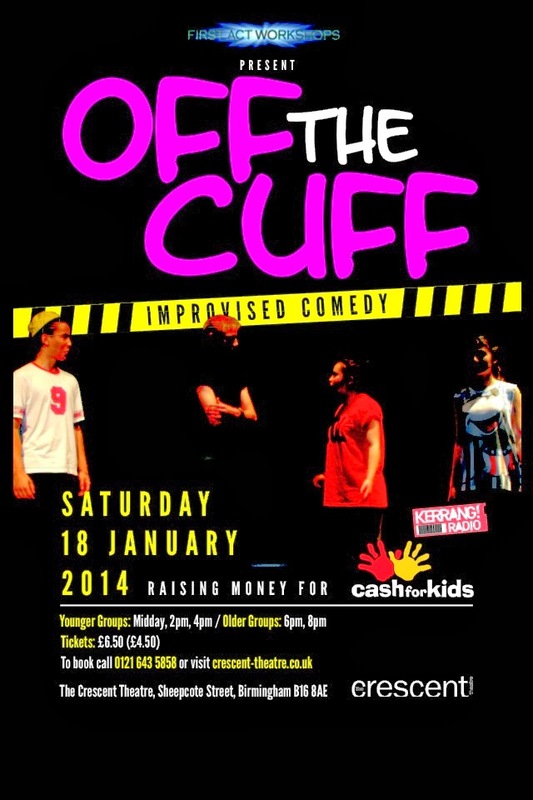 Please come along and show your support - all the money goes to Kerrang! Radio's charity Cash For Kids!